In one of the most beautiful parts of Island Pag- Novalja is located our beautiful house. We are the Imgrund family and offer you a unique summer holiday in our home. Accommodation in comfortable apartments, overlooking on a centuries-old stone walls, you will feel like this is the place where to stay more often. 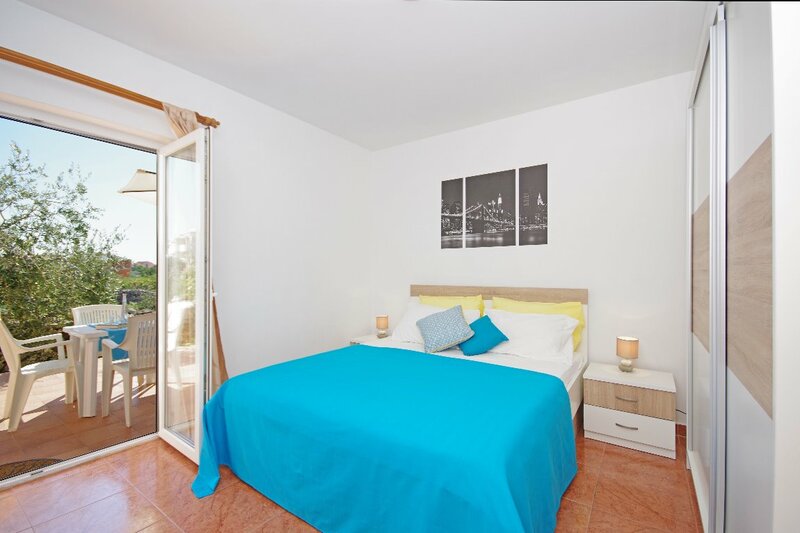 Our apartments are situated just 400 meters from the sea and 500 meters from the city center. All units apartments - Imgrund are fully furnished and nicely decorated. Peaceful surroundings, Mediterranean vegetation, untouched nature and the crystal clear Adriatic Sea make Apartments - Imgrund a perfect place to rest. Feel the magic of the sea, culture and way of life of the Island Pag and enjoy the fun and famous international festivals in Zrce. You can visit the numerous beautiful beaches , to visit family farms where they produce the world famous Pag cheese or buy traditional handmade Pag lace. It is on you to wish, and we will make your wishes come true. Welcome to our home and the beautiful city of Novalja! N +44° 33' 9" | E +14° 53' 22"